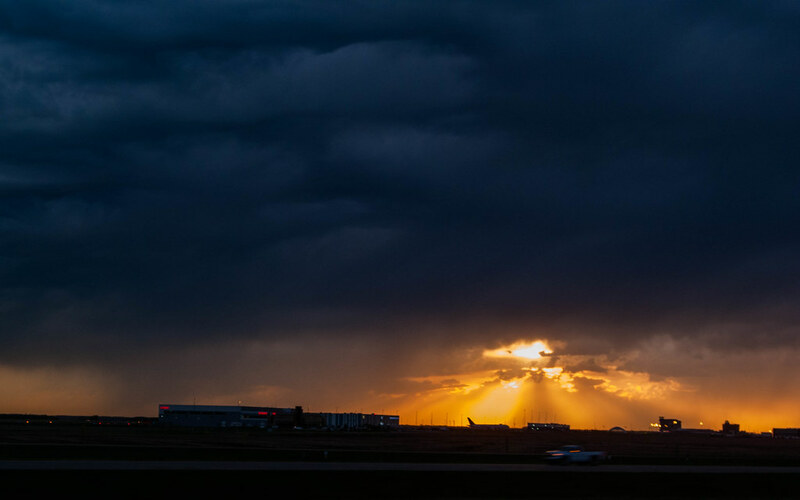 A jet had just landed at Edmonton International Airport in the golden light of sunset, just ahead of the rain storm that was about to come through town. 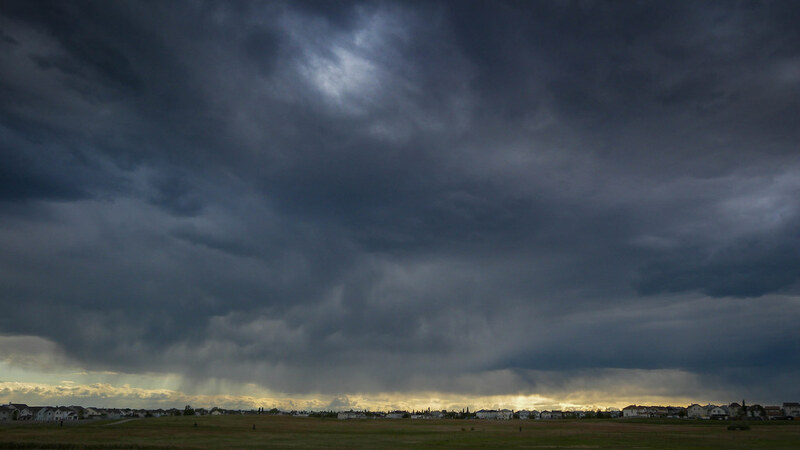 Giant storm clouds dwarf the houses along the edge of the city. I think that this is actually a bike rack, but I loved the way the the design was repeated and knew there was a picture in there somewhere. 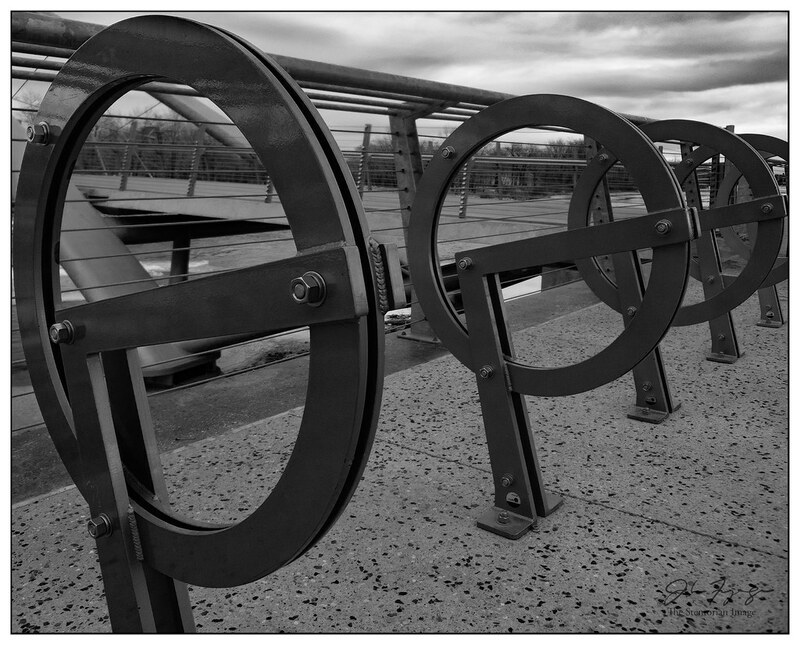 The multiple circles contrast the angular lines of the supports which are backed up by the lines of the railing. 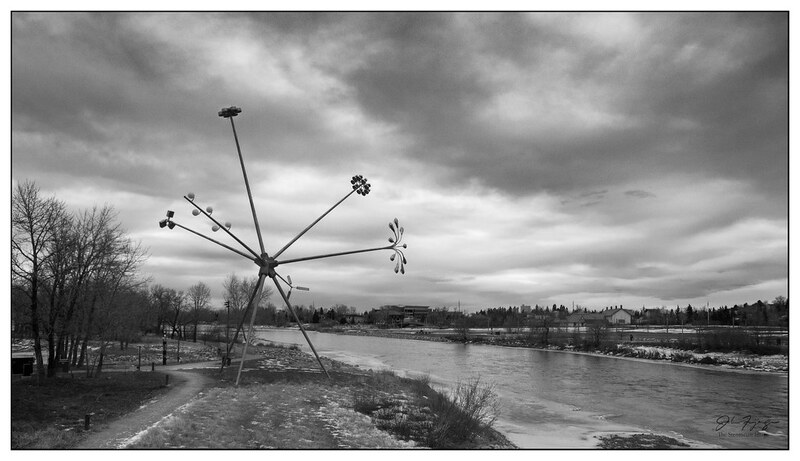 Bloom is a public art piece that was installed in 2015 on St Patrick’s Island across from the East Village in downtown Calgary. 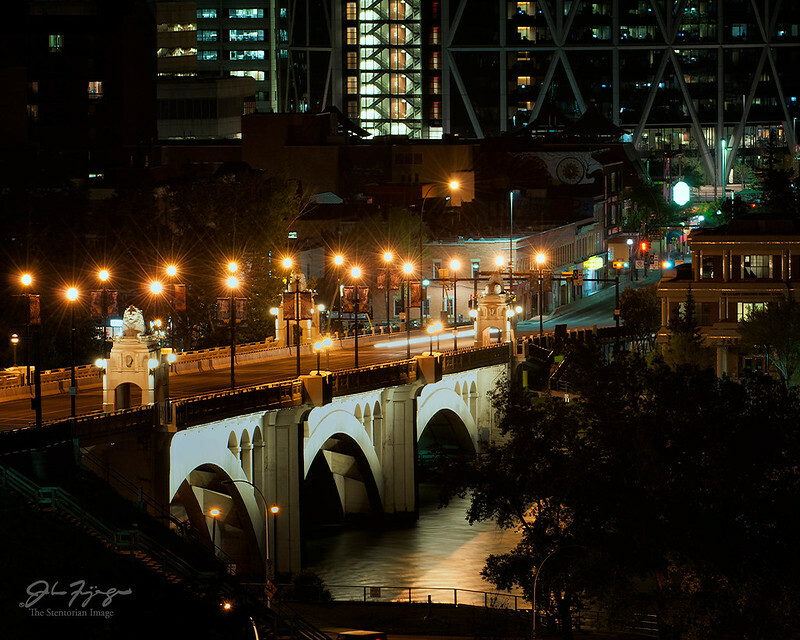 It can be accessed from the Bow River Pathway on the north or RiverWalk on the south via the George C. King pedestrian bridge. My best, In the order that they were taken. I did a lot of post processing on older images, which I did not include. Only images shot in the last year are being shown. 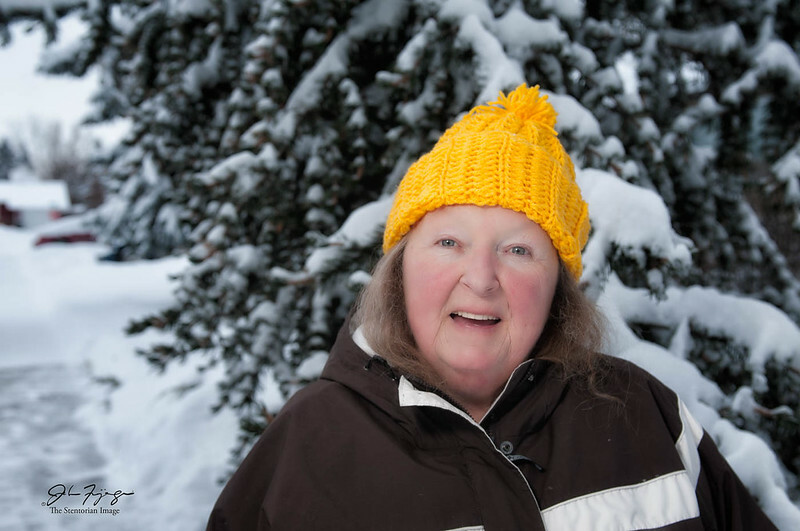 January 6 – Sherri In The Snow – After shovelling snow off of our sidewalks, I ran in the house to grab my camera and flash to take this shot of my wife Sherri. 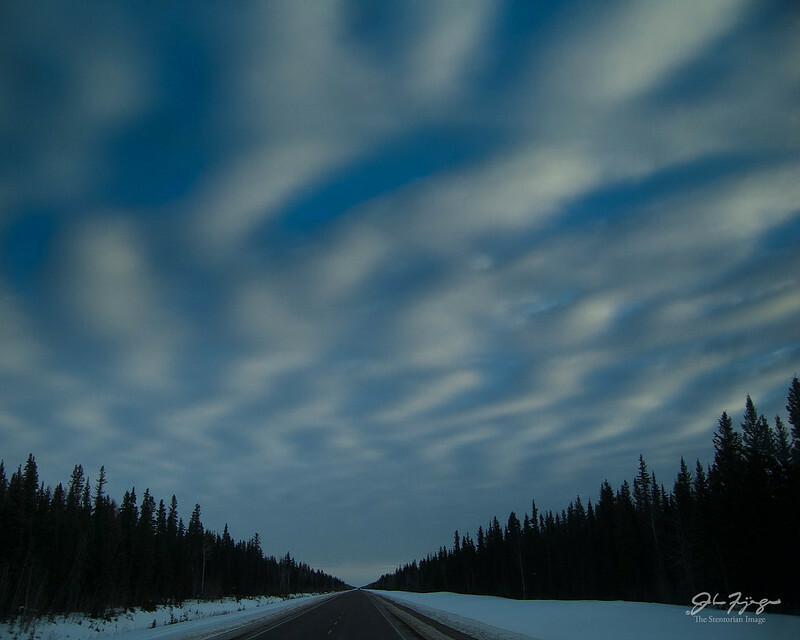 March 24 – Sky Waves – Heading north out of Ft. Providence, NWT, I noticed these strange clouds and quickly grabbed a shot. 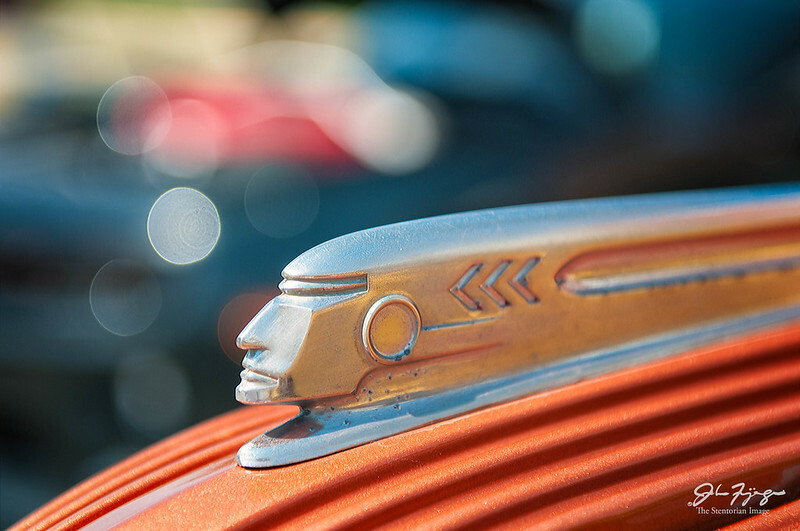 May 9 – Ahead Of The Crowd – There is always a wealth of photo opportunities for automobile aficionados at the Didsbury Show and Shine. I often take a snap of a sign or other owner provided info on a vehicle, to correctly identify it later. I didn’t have any ID on this car and had to do an extensive search on the internet to determine that this was a 1937 Pontiac. 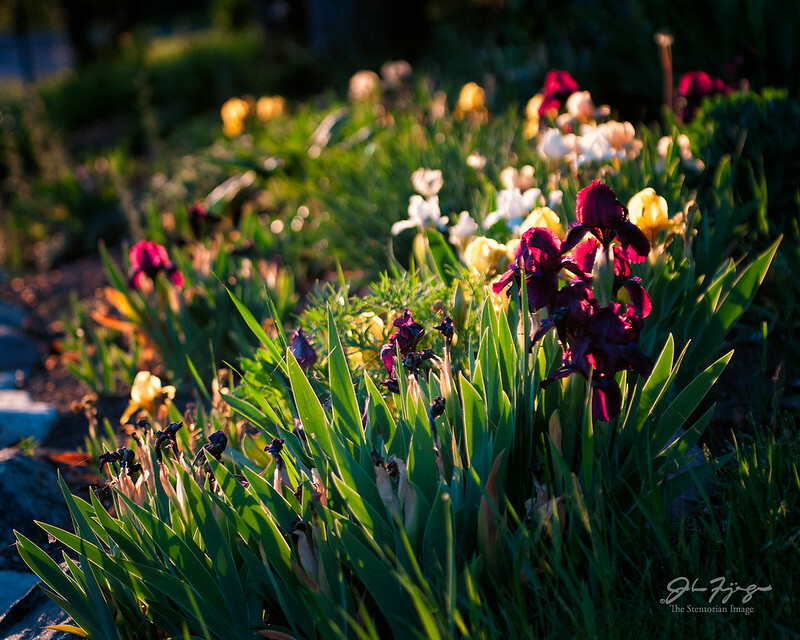 May 23 – Iris Garden – Flowers are great subjects and for me, backlighting only improves them. Blooms were in abundance at the Reader Rock Garden. Located across from the Stampede Grounds, it’s one of the lesser known inner-city parks. 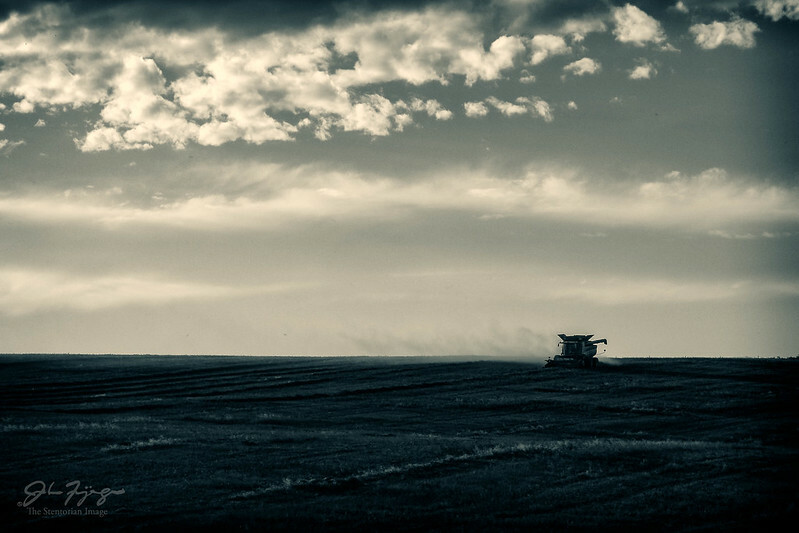 September 25 – To The Horizon – Harvest time in Central Alberta near Trochu. A John Deere combine works the field. 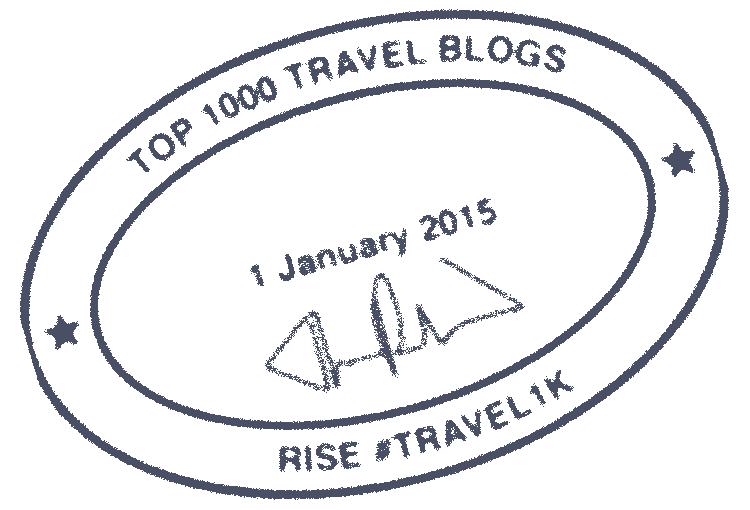 By it’s position near the top of a rise, the main body of the harvester is shown above the horizon, as is the dust cloud trailing behind. 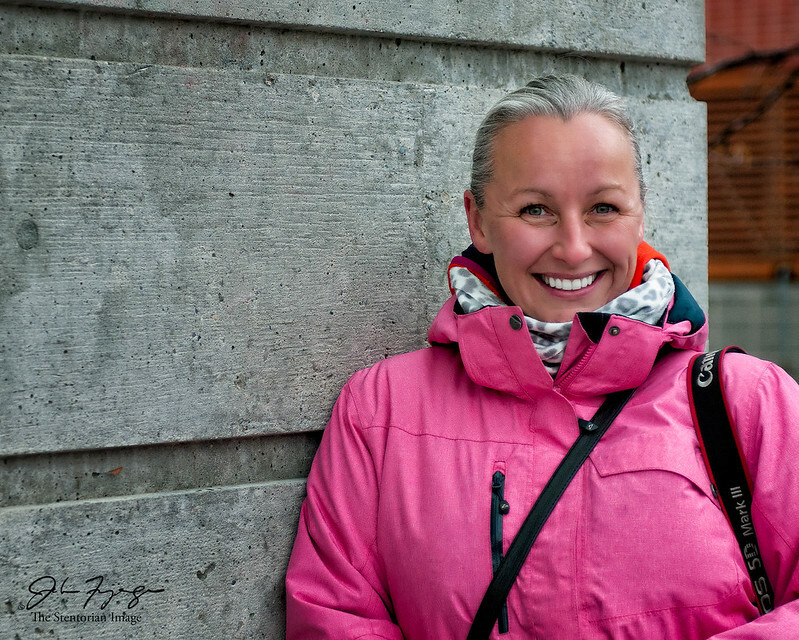 October 3 – Gudrun – On Scott Kelby’s World Wide Photo Walk our leader, my friend Gudrun showed us through the Calgary community of Bridgeland. We stopped for a moment and I took the opportunity to make this impromptu portrait. October 17 – Remember – Another photowalk, this time hosted by my friend Neil Zeller. 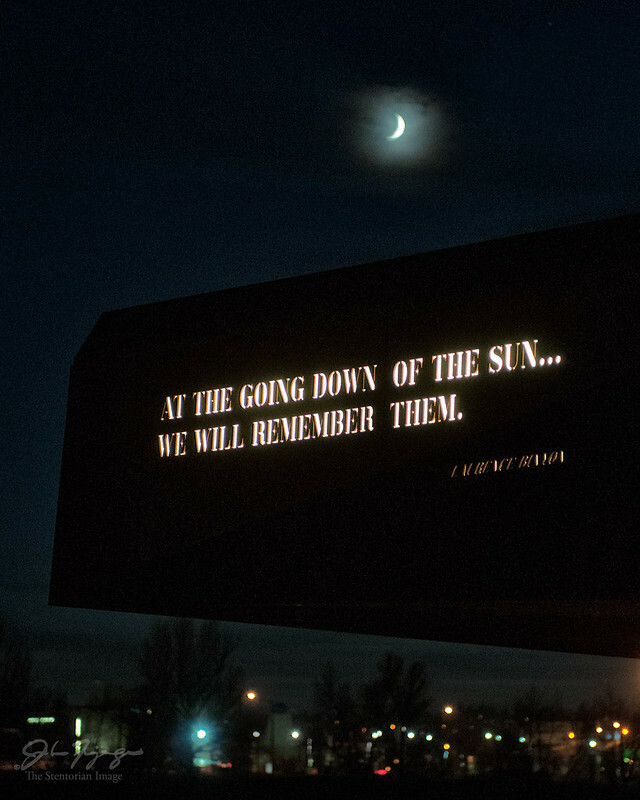 We started out at the Peace Bridge and worked our way down to Poppy Plaza, where I captured this image. 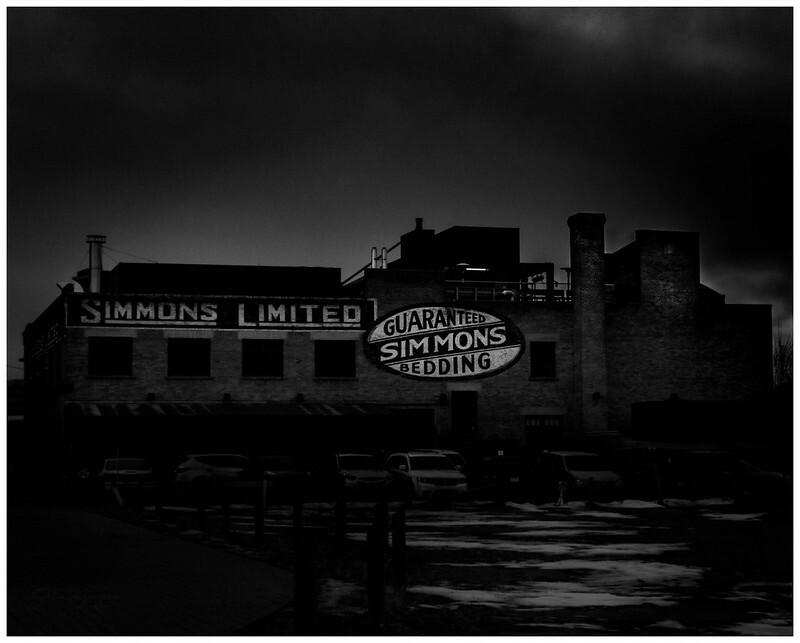 December 8 – Simmons Building – In the city for an appointment and a gallery opening later, we had a couple of hours between. I decided to head over to the East Village to scout about. I saw the old painted on signage and had to get a shot. 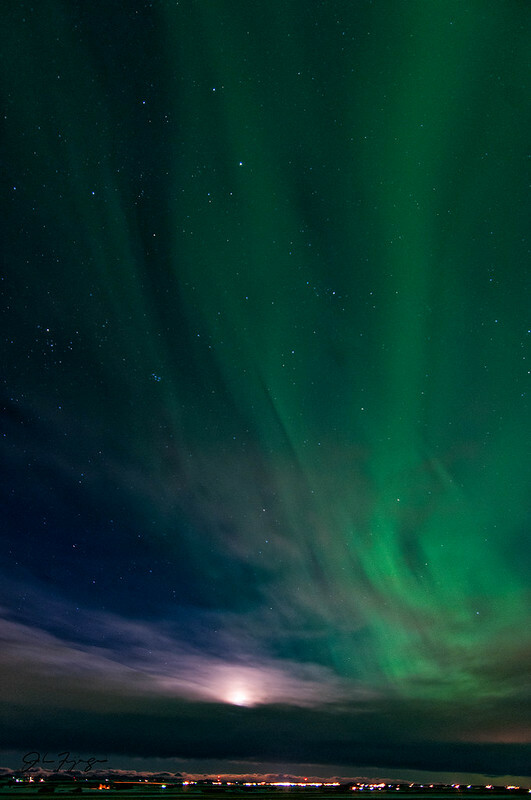 December 20 – Aurora And Moonset Over Carstairs – I was just getting ready for bed when I checked the Aurora forecast. It looked good, really good, so I went out. Not much was happening when I got, away from the street lights. Not much happened the first hour and I thought I got skunked, but decided to wait. Am I glad that I did, the next two hours were amazing but by 3 AM I had to turn in, even though it was still going on. These were what I chose to be my best from 2015. I hope you enjoyed them.